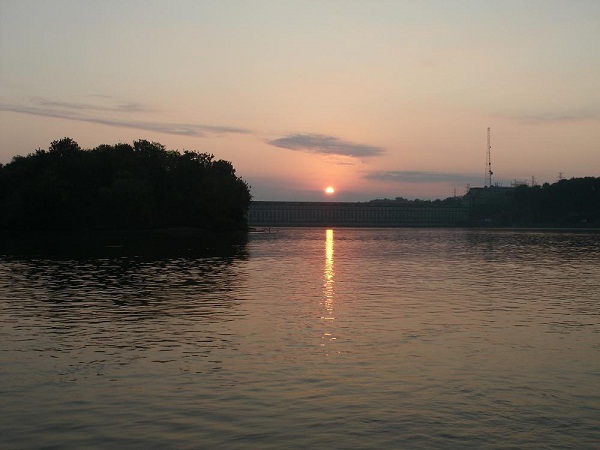 The Tennessee River’s smallest lake has set some big records. One long standing record was broken but not with ease. In 1950, the world record smallmouth bass, weighing 10 lbs. 8 ozs, was caught on Wilson Lake. This record held up for over 20 years before being broken in Tennessee with an 11 pound plus bronzeback. With only 15,930 acres of surface water, this minuscule lake is very small. This especially holds true when compared to upper reservoir Wheeler Lake and lower Tennessee River Impoundment Pickwick Lake, situated below Wilson Lake dam. 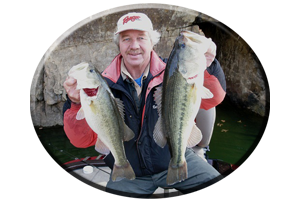 Wilson Lake also lacks in numbers of feeder creeks, for the avid angler to explore. However, there are some small creeks that do produce numbers of decent sized fish. Town Creek, Shoal Creek, McCerman Creek and Blue Water Creek all offer piers, weeds, wood cover and rock bluffs. You wil also find loads of baitfish attempting to escape the swift current of the mighty Tennessee River in these hidden creek backwaters. 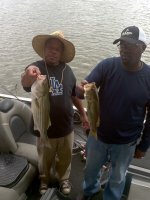 When September rolls around the bass are still in a late Summer mode. Until later in the month, changes in teir moods are not likely. As Fall progresses, Northern Alabama Lakes cool down first. 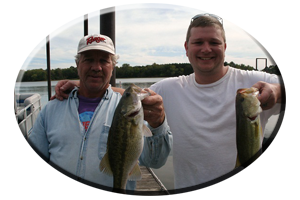 Wilson Lake, the smallest impoundment in these Tennessee River System waters, is situated near the town of Decatur in the North western section of the state. It can cool down the fastest. 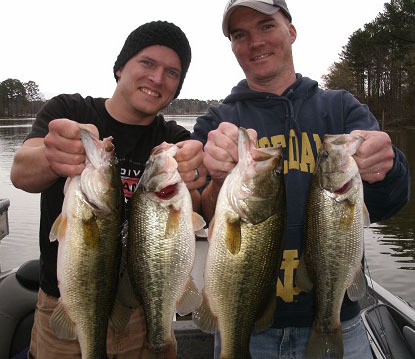 This is when water temperatures dip into the 70′s and send fish on a feeding spree to fatten up for the upcoming Winter. 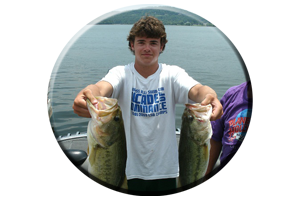 As waters cool even more as during extreme cold fronts or after several days of cold weather, the bass are influenced to feed even more and some voracious schooling takes place. 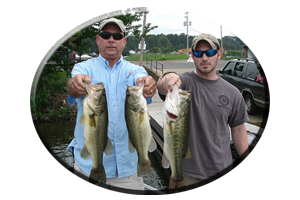 At the lakes headwaters, just below massive Wheeler Lake dam, is an area noted as some of the best smallmouth bass fishing in Alabama during Fall. Downstream the residents of Pickwick Lake may argue that point. 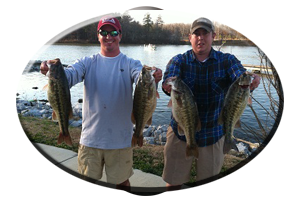 Regardless, smallmouth bass traditionally gather at Wilson Lake’s headwaters each year as their travels are halted at the upper Lake Wheeler dam. Along with smallmouth bass a small population of spotted bass and largemouth bass are found here. In huge numbers are also white bass, striped bass and hybred-striped bass.